Waterbased paint for pen, brush, or air-brush work. Great tinting strength. mixes with most acrylics (test first). 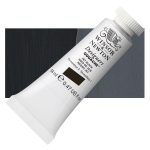 For fine art painting, watercolor papers are recommended.